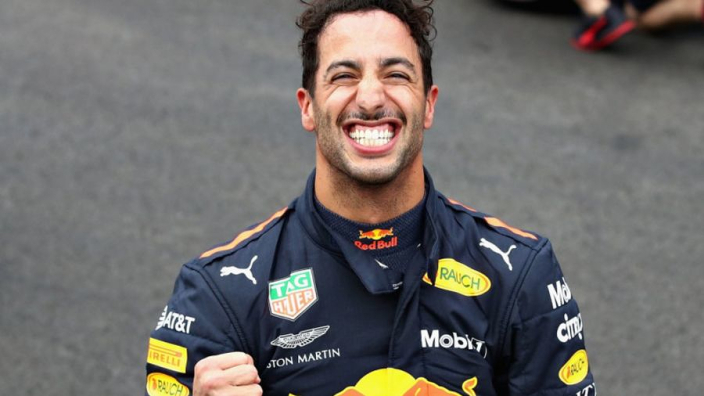 Daniel Ricciardo was well worth his pole position for the Mexican Grand Prix, according to Red Bull team principal Christian Horner, who said the Australian simply deserved to beat teammate Max Verstappen, despite the Dutchman's previous form at the Autodromo Hermanos Rodriguez. Verstappen had topped all three practice sessions, Q1 and Q3 after the initial runs, but Ricciardo pulled out a mighty lap at the end to pip his stable-mate b two hundredths of a second. It likely saw Verstappen's last chance of eclipsing Sebastian Vettel's record for F1's youngest pole-sitter go up in smoke and he was furious afterwards, blaming his car for a "crap" qualifying. Horner had no interest in Verstappen's excuses, though, and said Ricciardo had simply done the better job. He told Sky Sports of Ricciardo: "It was a mighty last lap from him. "Second sector and third sector he just nailed it – it sort of came from nowhere really! "You can hear how happy he was on the slow-down lap so really pleased for him, really pleased to have both cars on the front row as well, which will make an interesting race tomorrow." Asked about Verstappen's unhappiness, Horner replied: "Same car, same opportunity - Daniel did the better job in Q3, so he deserves the pole and all credit to him. "It's great for the team to have both up there and we just need to do a good solid job tomorrow now." Verstappen won last year's race in Mexico from second on the grid, though Ricciardo may have his eyes set on Red Bull's best chance of taking victory – perhaps his last chance to do likewise before leaving for Renault.